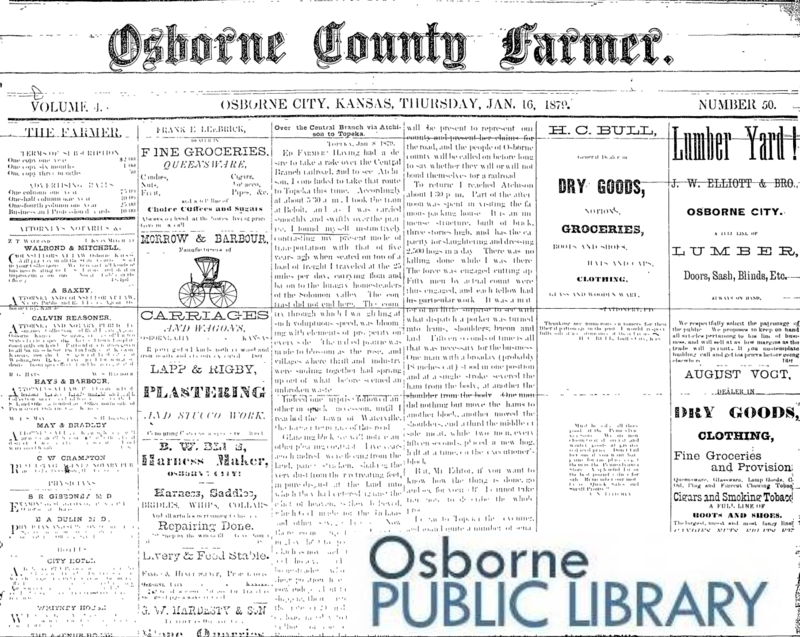 The Osborne County Farmer, Page 1, From January 16th 1879! Just imagine what you will discover when you search nearly 140 years of our community's history in this digital newspaper archive! 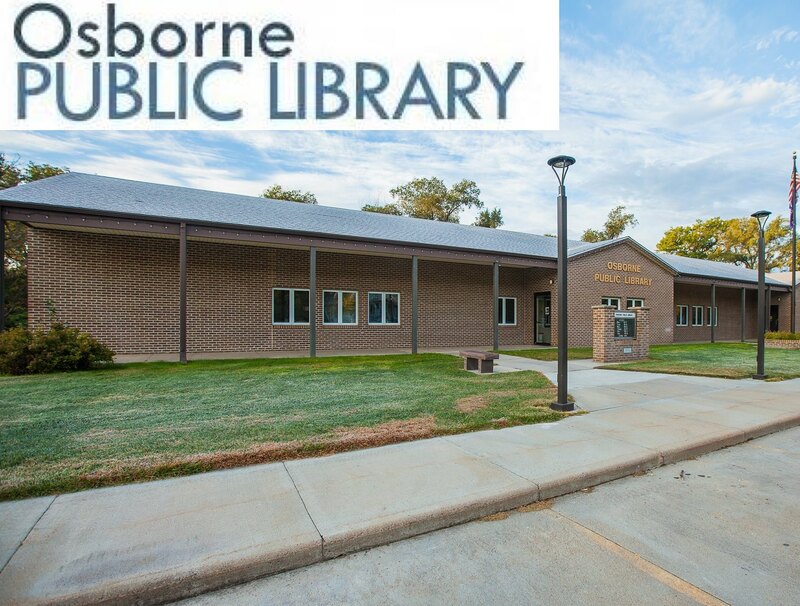 The Osborne Public Library was established in 1889, founded by the Osborne Ladies Library Association. Dr. Henshall, mayor of Osborne, wrote to Andrew Carnegie, who approved a gift of $6,000, for a library building January 12, 1912. Construction began in October 1912 and the library opened July 11, 1913. When the library collection outgrew the Carnegie building, construction on the current library began in 1994. This building was built thanks to the generous donation of O.C. and Beryl McFadden. The McFaddens provided the seed money of $300,000, with the remainder of the funds originating from community support. The 6,500 square foot building was dedicated in March 1995 and currently houses a collection of approximately 22,000 items. Programming is offered for all ages of patrons, as well as public computers, free Wi-Fi, and offers services including, coping, microfilm printing, scanning, and laminating.